A few of us have been trying to gather at the same table for quite some time, and we finally found a time that worked for everyone tonight. 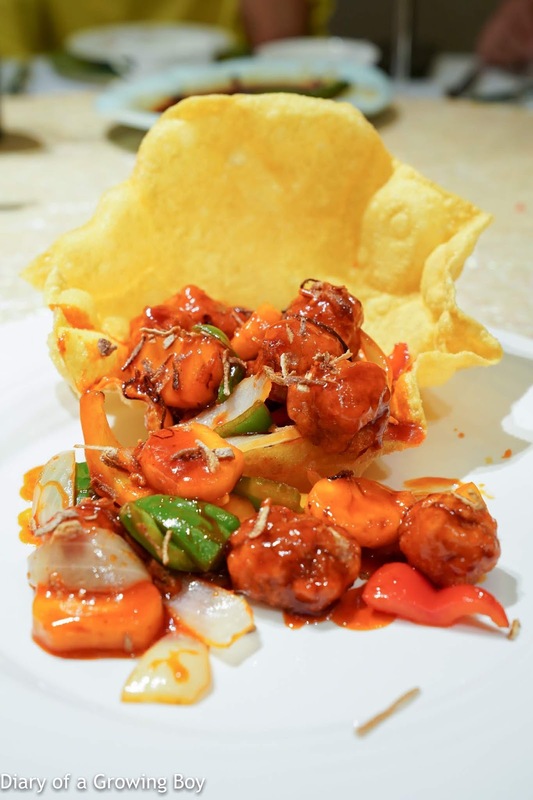 I probably wouldn't have chosen Golden Valley (駿景軒) as a venue, but I did think the food was pretty good when the restaurant was at its old address in Happy Valley. As the restaurant has re-opened in the new Emperor Hotel next to the racecourse, it seemed like a good opportunity to see whether the kitchen could still deliver. 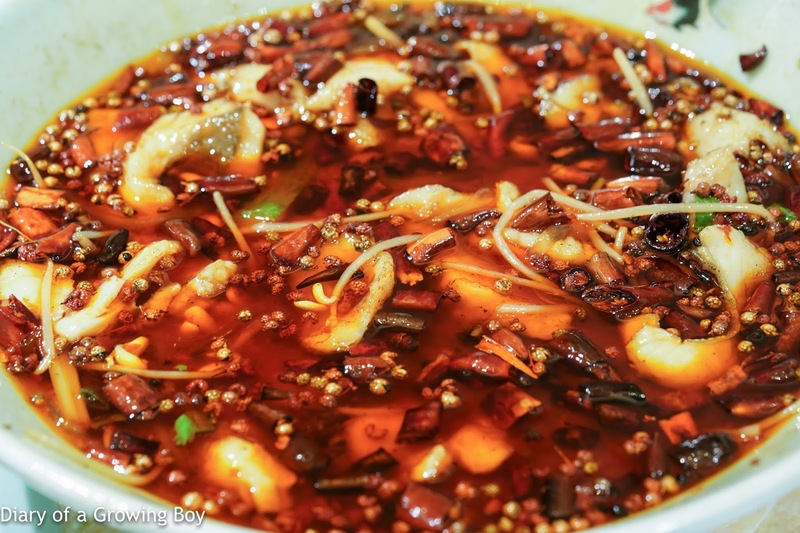 One of the problems I have with Golden Valley is that they are known for their Sichuan offerings, and mala (麻辣) hotpot in particular. That means the air is filled with the smell of spices, which isn't something I care for very much. Thankfully we got ourselves a private room so I didn't have to put up with it. I was tasked with the first round of orders, but I kept it relatively light. Sliced pork in spicy garlic sauce (蒜泥白肉) - this was surprisingly more spicy than I expected. The other surprise was that the pork came with skin on, so in addition to the crunch from julienned cucumber, there is the additional crunch from the skin. 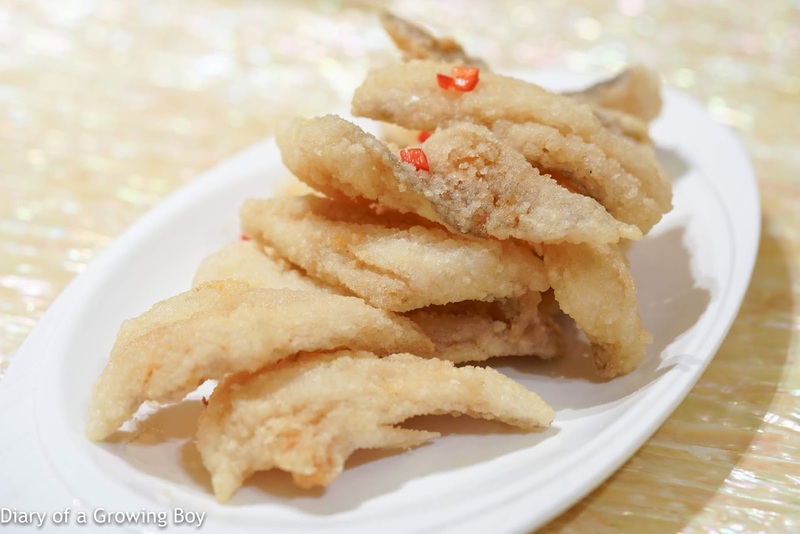 Deep-fried Bombay duck fish with spicy salt (椒鹽九肚魚) - as good as I expected. Sooo fluffy and tender inside. 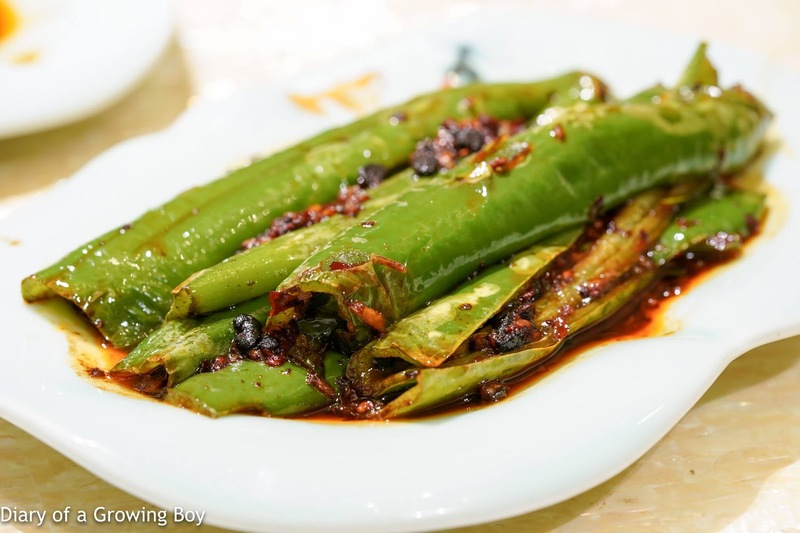 Sautéed green chili in vinegar (虎皮尖椒) - I remember this being one of the dishes that my friends always used to order, and it was good. Not too spicy, actually. Sweet and sour pork with tangerine peel (陳皮咕嚕肉) - this looked interesting because of the use of aged tangerine peel, and indeed the added fragrance was something I hadn't encountered in other versions of this classic dish. Very tasty. 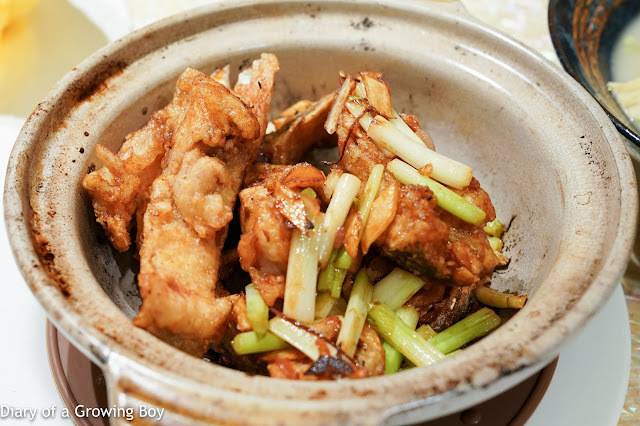 Pan-fried fish head Shunde style (順德煎魚雲) - this is a classic dish from Shunde (順德), and I gotta say it was pretty good. 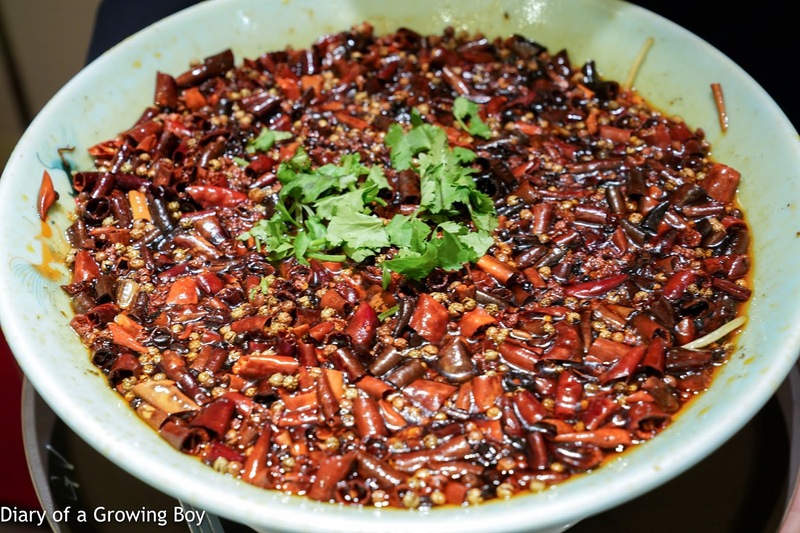 Simmered slices of mandarin fish with sun-dried chili (麻辣水煮鮮魚片) - I was instructed to order this, and there were quite a few people who were happily digging into the bowl. I tried a little bit for myself, including the sweet potato glass noodles. But normally I would avoid this like the plague. 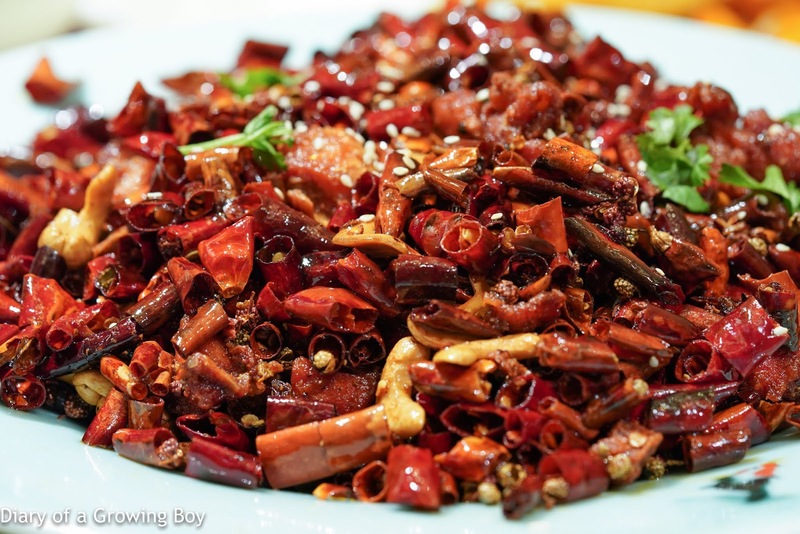 Diced chicken with spicy dried chili in Sichuan style (霸王炒辣子雞) - another dish I was instructed to order. I understand that the bits of chicken are seasoned nicely by the spices, but digging through the pile of dried chili for tiny little bits of meat on bones still seems ridiculous to me after all these years. Simmered bean curd stick and cabbage in fish pottage (魚湯腐竹浸娃娃菜) - thankfully this helped put out the flames dancing on my tongue. 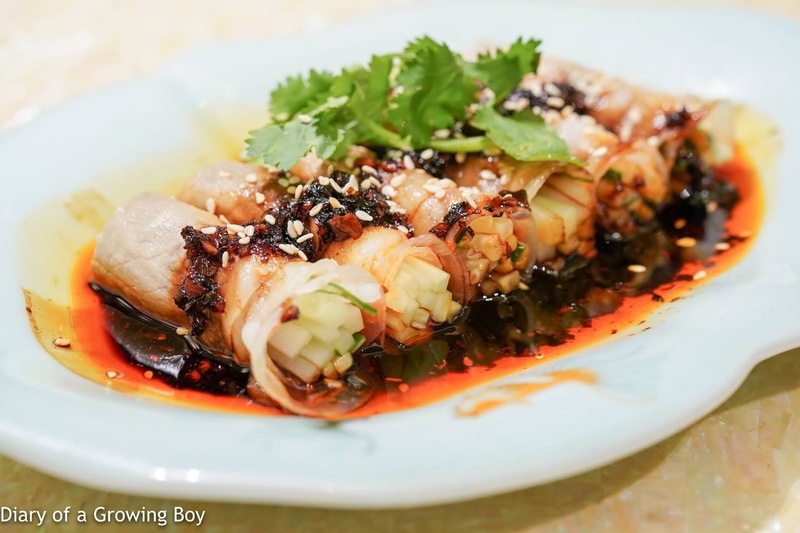 I always love milky fish broth, and having it with tofu skin and Chinese cabbage is always a good idea. 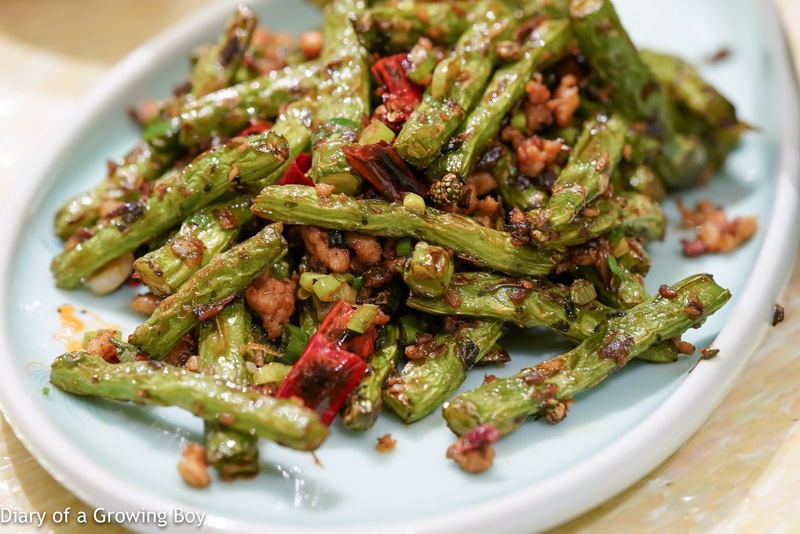 Wok-fried string beans with minced pork and chili (乾煸四季豆) - I was curious about whether the kitchen would actually do a decent job with this dish. Of course no one will take the time to do it like mom, but the kitchen here at least made somewhat of an effort to shrivel the beans. Not bad. 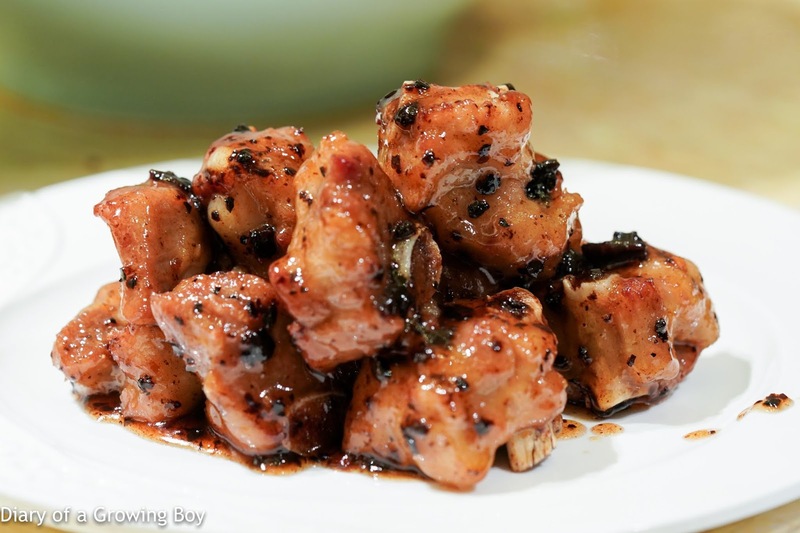 Pork spare ribs in plum sauce (冰梅骨) - very tasty. What's not to like about fatty spare ribs?! Steamed chicken flavored with zedoary powder (沙薑鹹味雞) - pretty tasty, actually. Couldn't resist chomping on a few pieces. 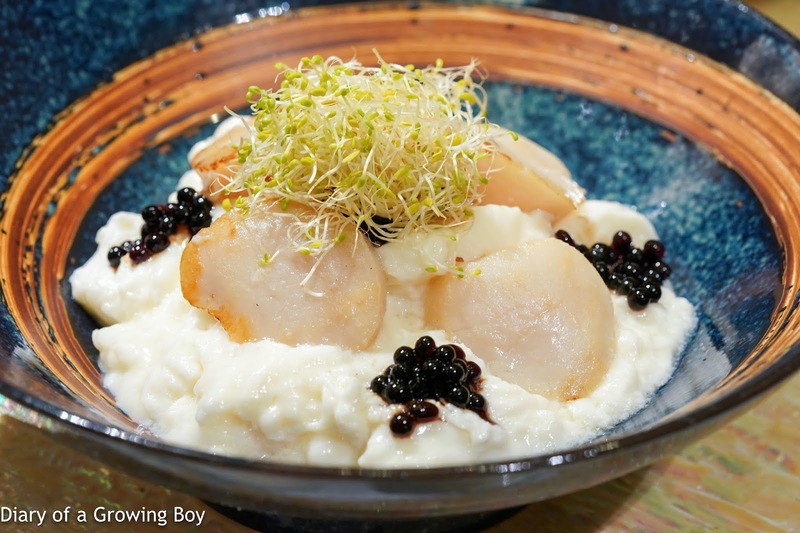 Fried crab meat and scallop with balsamic vinegar and fresh milk (黑醋珠鮮蟹肉帶子炒鮮奶) - this was kinda interesting... Not your average Shunde fried milk, but a modern version with chunks of scallops as well as spherification pearls made with balsamic vinegar. 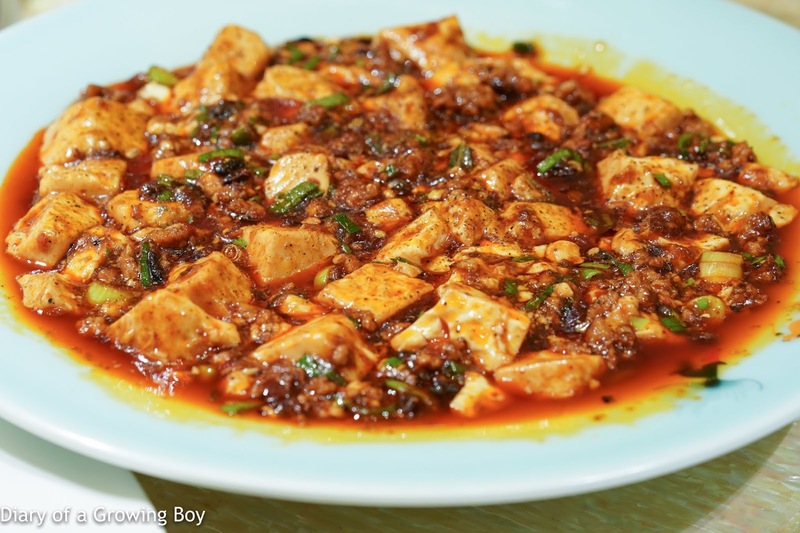 Sautéed bean curd and minced pork in chili bean paste (麻婆豆腐) - I can't remember the last time I had this dish, and I really enjoyed it. Perfect with some steamed rice. 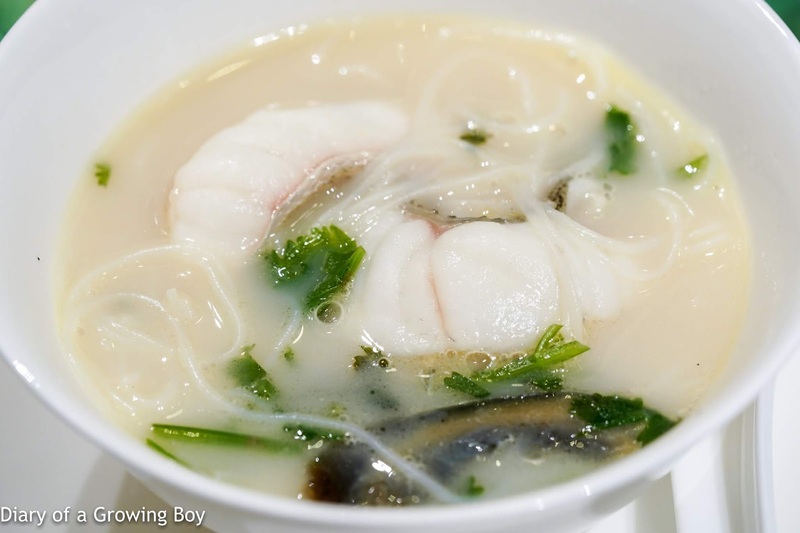 Soup vermicelli with sliced fish, century egg and parsley (皮蛋芫茜魚片湯米) - very nice. I love noodles in milky fish broth. 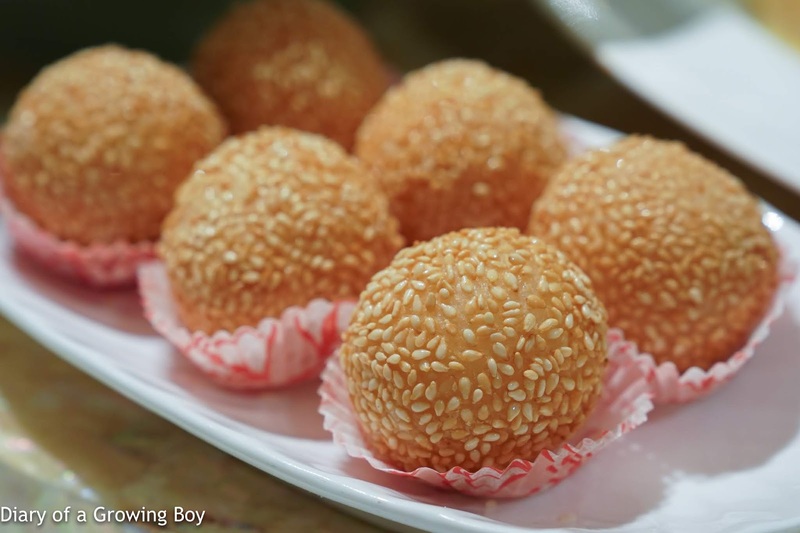 Crispy sesame glutinous dumplings with sesame paste (芝麻煎堆) - pretty nice. And I thought I tasted a hint of aged tangerine peel in the sesame paste. 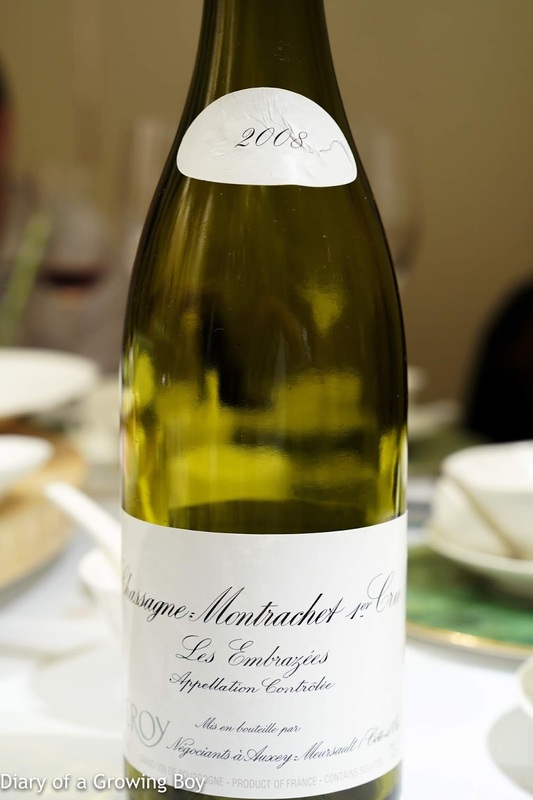 2008 Maison Leroy Meursault 1er Cru Les Embrazées - nice and a little ripe, with a little honey. 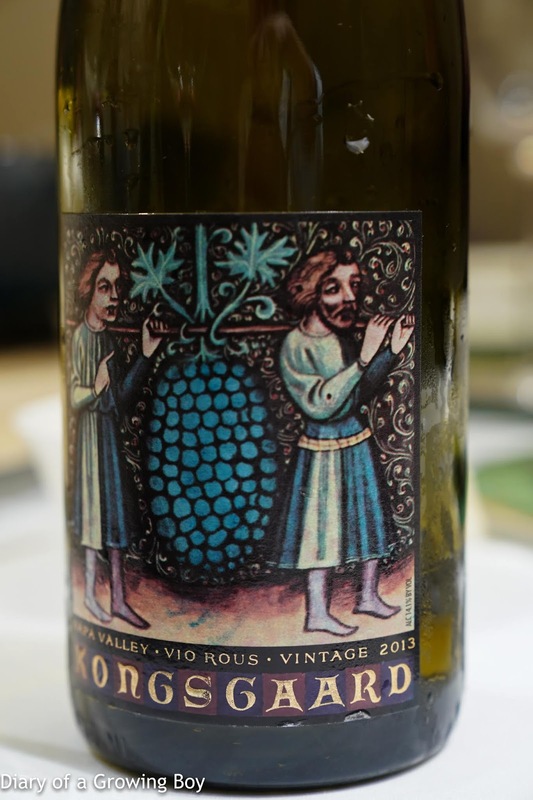 2013 Kongsgaard VioRus - ripe and a little hot on the palate. 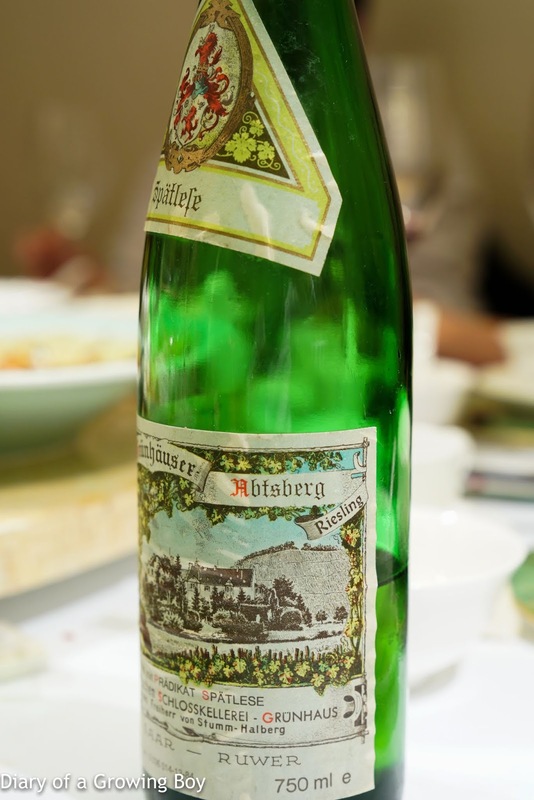 A hint of marzipan. 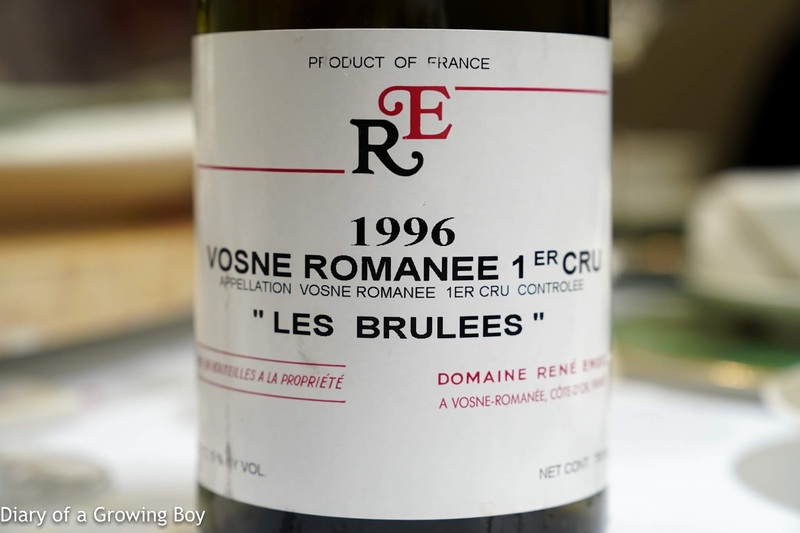 1996 Rene Engel Vosne-Romanée 1er Cru Les Brulées - lovely and fragrant with red fruits. Pretty cloudy. 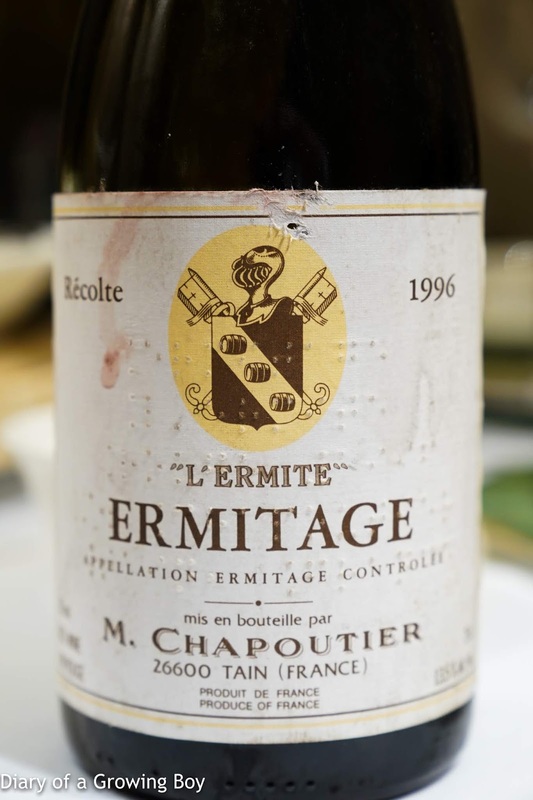 1996 Chapoutier Ermitage L'Ermite Rouge - served 2½ hours after opening. Black olives, tapenade, very savory, with some floral and violet notes. Very smooth but flat on the palate. 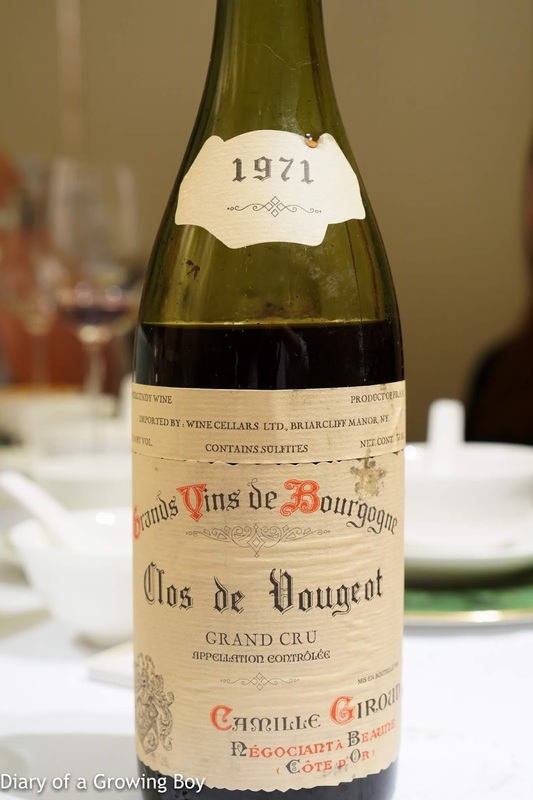 1971 Camille Giroud Clos de Vougeot - nice fruit, a little sweetnes, but also a little savory black olive. 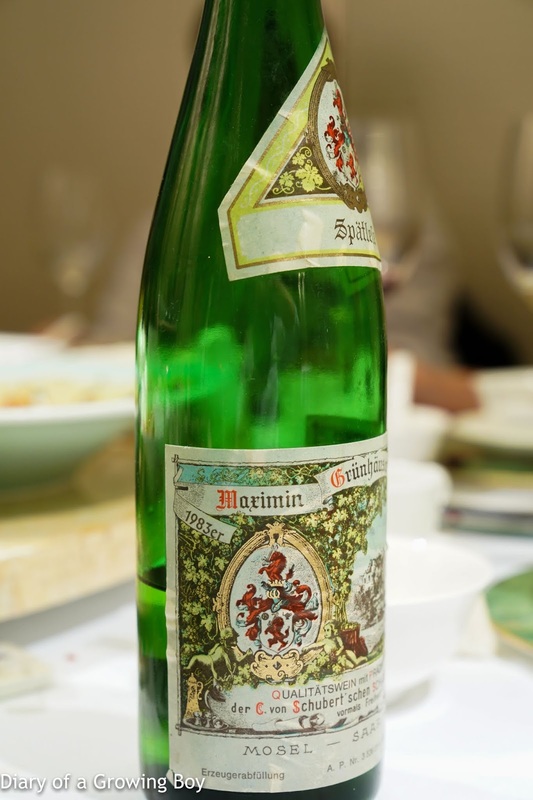 1983 von Schubert Maximin Grünhäuser Abstberg Riesling Spätlese - polyurethane, white flowers, and good acidity.